One of the things that we make a major investment in is our own homes. Whether we had it built from the ground up or bought one that is newly-built or one that has been previously owned by others, it still costs us a lot to have a house. It makes sense then that we take steps to protect our property from damage. 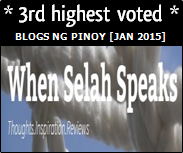 Damages can be caused by nature (floods, volcanic eruption) or by people (fire, burglary). With the money, time and effort we have poured into building or buying our homes along with beautifying it, making it livable and comfortable for us, damages can indeed give us grief. We have also to add that fixing the damage will also be burdensome financially and even emotionally. Thankfully, we can insure our homes with a comprehensive insurance. Malayan’s Home Protect Plus can meet our home insurance & property insurance needs and more. 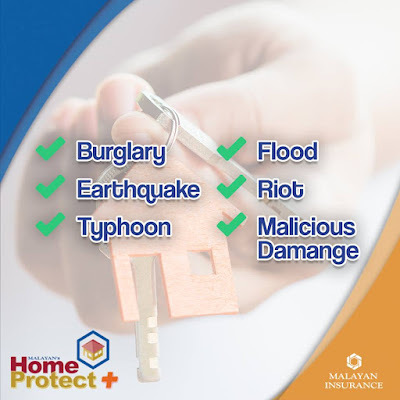 Home Protect Plus provides the following key coverage: Fire and Lightning, Earthquake Fire & Earthquake Shock, Typhoon & Flood, Riots, Strikes and Malicious Damage, Bursting or Overflowing of Water Tanks, Pipes & Fittings, Sprinkler Leakage, Volcanic Eruption, Extended Coverage and Extension of Covers. Its extended coverage includes, among several others: Burglary & Housebreaking, Alterations & Repairs, Fire Fighting Expense and even Special Assessment Clause for Condominiums. 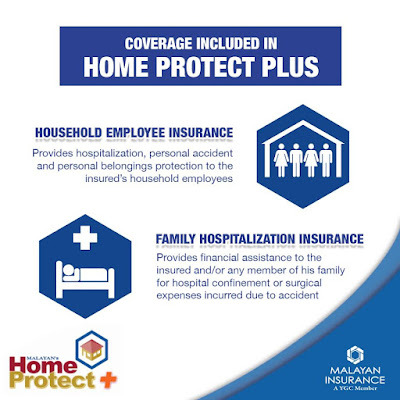 Home Protect Plus further allows you to be worry-free and to enjoy peace of mind as it also provides optional covers for you, the family and even for your household employee! You can go ahead and also choose to have the following coverage: personal accident, family hospitalization and/or household employee. You can even choose to also include Valuable Items Protection for those special possessions you have. Here’s to a peaceful home life to you and me!